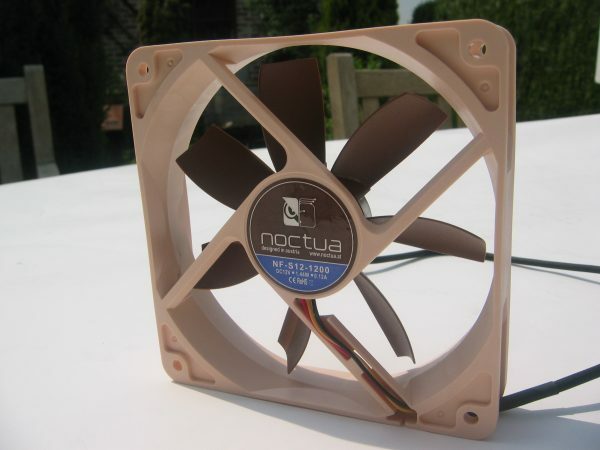 The second fan from Noctua that I'm going to take a look at is the Noctua NF-S12-1200. This fan has a standard RPM of 1200 but there's also the NF-S12-800 which is a bit more quiet. The package also includes four vibration compensators and four fan screws. 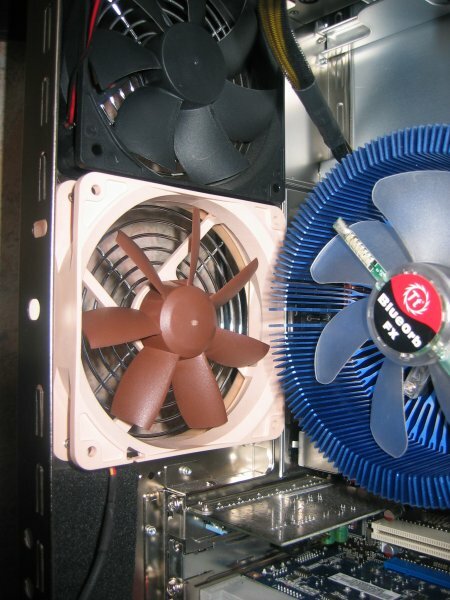 The 120mm fan has the same colour scheme as the 80mm version. As you can see this product is also optimized for ultra low-noise operation. 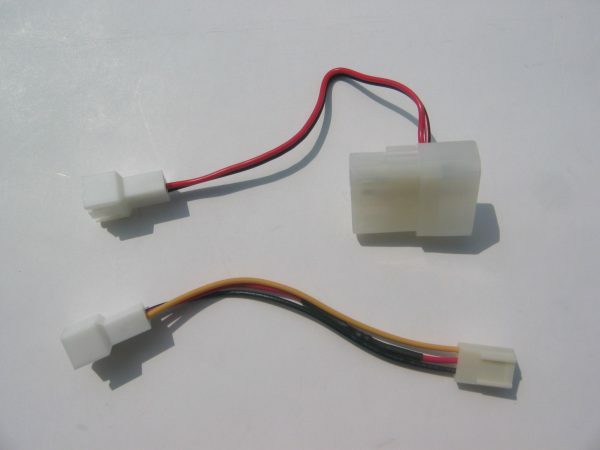 Just like with the NF-R8 you can lower the noise level with an adapter and there's also a 3 to 4-pin adaptor if you want to connect the fan directly to your power supply instead of to a motherboard fan header or a fan controller. 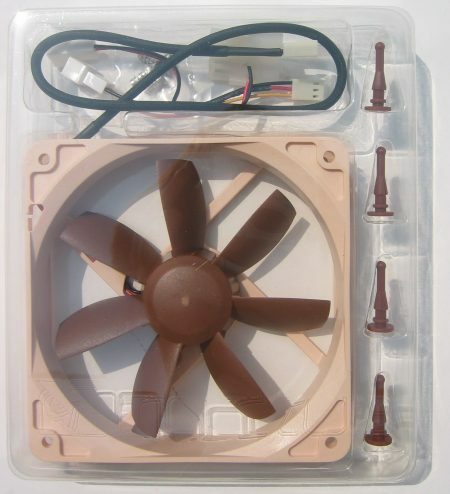 Unlike the 80mm version, the 120mm fan only features the ultra-low-noise-adaptor (U.L.N.A. ), the L.N.A. adaptor isn't included. Without the U.L.N.A. adaptor the fan spins at 1200RPM, with the adaptor it spins at only 600RPM. 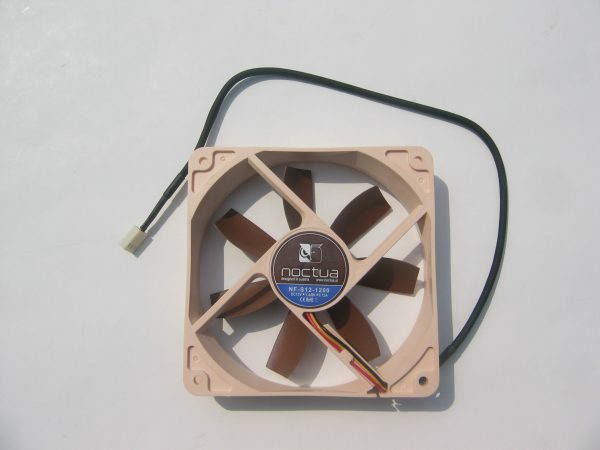 The specifications on Noctua's website don't lie, these fans are really extremely quiet. At full speed they are already very silent and when you use the U.L.N.A. adaptor they become as good as inaudible. They are the quietest fans I have ever used. These fans from Noctua are perfect for HTPC systems and desktop systems where noiseless operation matters more than getting optimal cooling for uber-high overclocks. 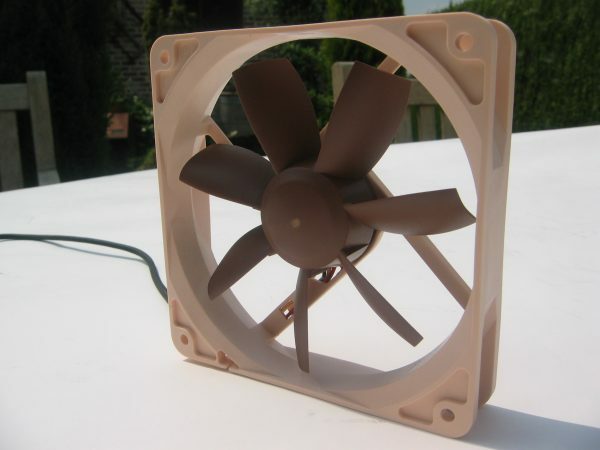 The airflow from these Noctua fans is lower than from (noisier) high-performance fans but it's pretty solid - it's enough to provide good air circulation in your case. The biggest problem is the availability of these fans and their premium price, but in return for the high price you get really quiet fans. Here's a photo of the 120mm NF-S12 installed in the NZXT Zero case. I give the Noctua NF-S12 and NF-R8 case fans a 9/10 and our "Top Design" award for their almost completely noiseless operation.